We had just one race today and that’s all Magnus and I needed to end the weekend on a good note. Truth be told, we were very lucky today. At the start of the race, the pin end was favored 20 degrees and of course the black flag was up. We fouled Ante at the start and had to do a 360 penalty turn. At that point we were a bit deep so we had to clear out to the left. Once clear we takes back onto port and benefited from a 10 degree lefty that came with pressure. Magnus and I rounded he first mark second to Tom Lofsted of Sweden. By this time the wind was blowing 18-20 knots and we were planing downwind. We started the second windward leg in second but quickly passed Lofsted with better speed in the breeze. The rest of the race was a procession as the wind shifted back to the right and we fetched the finish on the final run. I am very happy with my new Folli Star! Augie Diaz, the regatta leader going into today, got caught on the wrong side on the first leg and never recovered, finishing 21st and losing the regatta to Peter Vasella and Phil Trinter. Brian Ledbetter and Josh Revkin sailed very well to finish third. 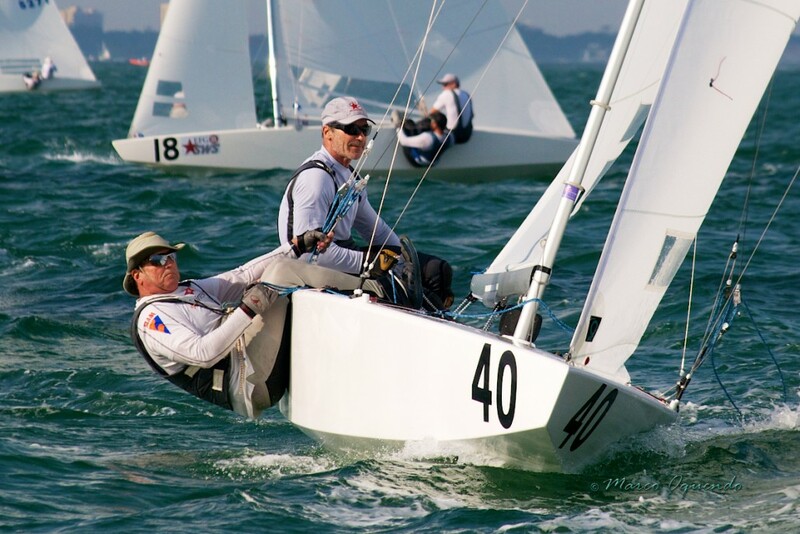 The next event down here is the Master Regatta February 6-7. I have asked my son Danny to crew for me for that regatta. We are a bit light together but had so much fun sailing last summer.